As the defense team in the Boston Marathon bombings trial gets ready to wrap up its attempt to spare Dzhokhar Tsarnaev's life, the question remains whether notable anti-death penalty advocate Sister Helen Prejean will be allowed to testify. Prejean, the nun who inspired the book and the film "Dead Man Walking," was seen at court Thursday, but after a lengthy lobby conference with attorneys in judge's chambers, the jury was sent home for the week with no final decision from the judge. 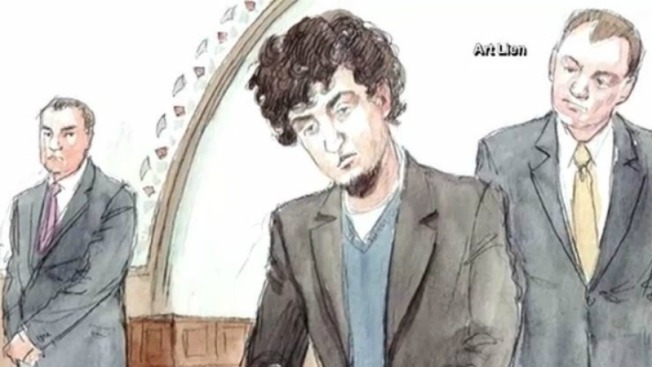 Before proceedings ended, a prosecutor said Boston Marathon bomber Dzhokhar Tsarnaev wrote defiant notes while he lay injured in a hospital bed after his capture. The revelation by Assistant U.S. Attorney William Weinreb came Wednesday during a sidebar discussion with Judge George O'Toole Jr. and Tsarnaev's lawyers. The group was discussing the testimony of an assistant U.S. marshal who was asked by Tsarnaev's lawyers about his conduct after his arrest. Defense attorney Miriam Conrad said she wanted to show that Tsarnaev, in his interactions with the marshal, "was never defiant, hostile or uncooperative." Weinreb protested, saying Tsarnaev wrote "one defiant note after another" in his hospital bed. Tsarnaev had been shot in the face and had a jaw injury that left him unable to speak. Weinreb didn't reveal the contents of Tsarnaev's notes. 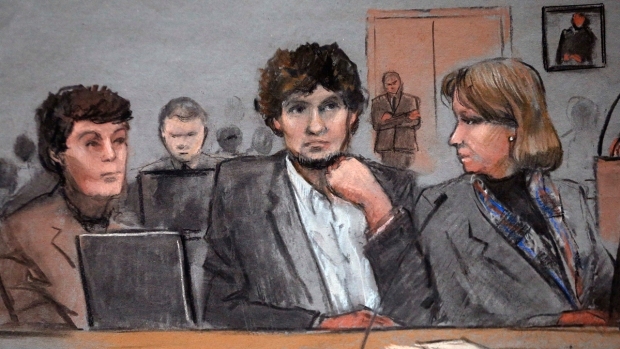 Earlier, the prosecution grilled a prison consultant testifying for the defense in the Boston Marathon bombing trial to try to rebut his description of the strict conditions Dzhokhar Tsarnaev might face behind bars. Mark Bezy acknowledged Thursday on cross-examination that special communication restrictions can be eased over time. He says inmates in a special unit of the Supermax federal prison in Florence, Colorado, can have five visits each month and can write and receive an unlimited number of letters from people on an approved list. Bezy had said Wednesday that Tsarnaev's communications would be severely restricted under a procedure known as Special Administrative Measures. A jury will soon decide whether Tsarnaev will be sent to prison for the rest of his life or face execution. Tsarnaev was found guilty last month on charges in the marathon bombing that killed three people and injured more than 260 others, along for his role in the slaying of a MIT police officer and the subsequent shootout and manhunt with law enforcement days later.